Ahhh the colors of Fall. The rustic browns, burnt oranges and crisp reds all come together to show off nature’s beauty. What better way to showcase some of Fall’s most vibrant colors than in your home décor? With family coming in for the holidays, its easy to get caught up in everything from the menu to the sleeping arrangements. But these simple Fall DIY projects are sure to impress your guests…and maybe even yourself! Nothing brings people together like a warm homemade meal. Of course, it is always a bit more inviting when the table is adorned with festive Fall decorations and a glowing centerpiece. Try placing these easy pumpkin candle holders in the center of your table and let the compliments pour in! Need to add some flair to your front door? This monogram pumpkin door hanger will have all the neighbors knocking on your door…and wondering where you got this DIY treasure, of course! This idea is perfect when you need something quick and easy! Striving to be the hostess with the mostest? Try these maple leaf mason jars for serving drinks to your guests! Just swap out the candle for some Community® Raspberry Tea and enjoy on a crisp Autumn afternoon. Here is a great last minute décor idea! This fun project requires basic materials and only 30 minutes of your time. 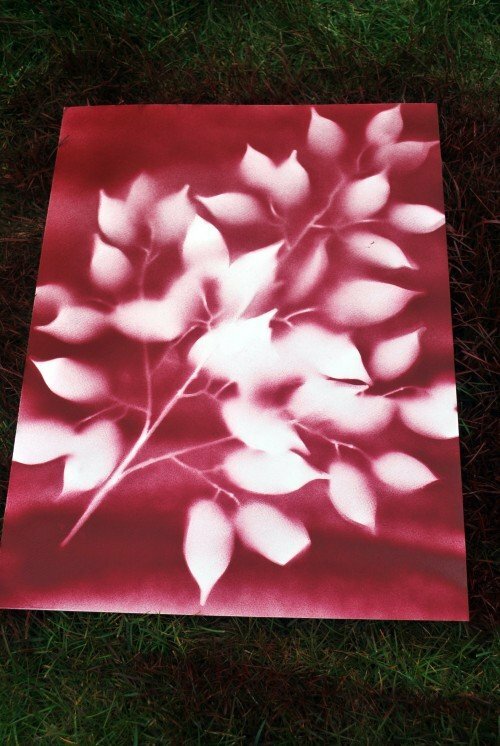 Hang or place this spray paint leaf art around your living room or entryway for an effortless Fall touch! Want to spruce up your coffee table or fireplace mantle? These cinnamon stick candles will leave your home smelling like a delicious bakery! Plus, the leftover cinnamon sticks can be used in other ways! Just place a couple sticks in a mug of freshly brewed Community® Pumpkin Praline coffee and enjoy the Fall sensory overload!